The first time cocktail historian and booze-world icon David Wondrich walked into Pegu Club he bumped into Barnaby Conrad III, a San Francisco–based author of influential books on the martini and absinthe. “Okay, this is awesome,” Wondrich recalls thinking. 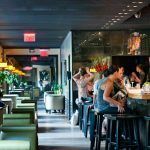 “This is what’s supposed to happen at this kind of bar.” That was nearly 10 years ago, and in the decade since Pegu Club first opened, it’s remained that kind of bar — one of the most significant cocktail destinations in the world. Today, we’re far enough along in the mixology revival that we’ve reached the benchmark stage. 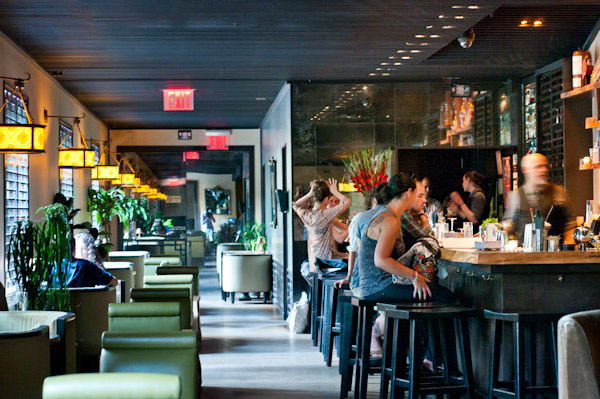 In 2013, Flatiron Lounge celebrated its own 10-year anniversary. Last year, Employees Only did the same. And Milk & Honey, the earnest speakeasy that arguably inspired them all, would have recently turned 15 had it survived. Pegu’s upcoming anniversary feels more historically momentous than the others. Its opening arrived at a time when the public’s taste for high-form whistle-wetting was ready to go mainstream, and the media was ready to take such stylish imbibing seriously. The Rainbow Room, run by Dale DeGroff, revived classic cocktails as an American culinary and social tradition; Milk & Honey brought cocktails down from the penthouse to the streets, suffusing the bartender’s art with a hushed, unapologetic seriousness; and Flatiron Lounge took that art — toned down a notch — to the masses. But by 2005 the movement still hadn’t quite come together in an accessible, haute package. Pegu, which arrived in August, was that package. And it was fronted by an opinionated, quotable figurehead who became central to the movement.